Centre for Science and Environment is organising a training programme for newly recruited and/or junior level officials of the pollution control board, to build their capacity on various required aspects like understanding of environmental laws, inspection & monitoring protocols, noting & drafting skills among others. This training programme will facilitate the board to develop a cadre of well-versed officials to combat the rising issues associated with pollution in the state and to ensure compliance of the norms. 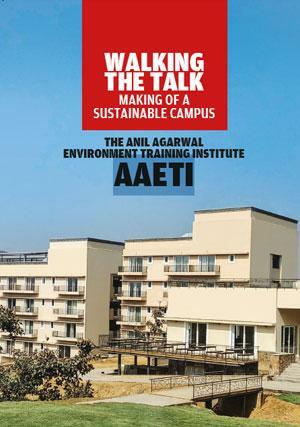 Engaging sessions including discussions on case studies, class exercises and site visits. Equal weightage to lectures (30%), class exercises (30%) and field visits (30%); and remaining would be assigned to discussions and presentations (10%). 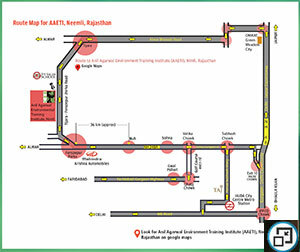 Course Venue: Anil Agarwal Environmental Training Institute (AAETI), Nimli, Rajasthan. "The training programme has really helped me to enrich my knowledge and also personally to improve the quality of work in aspects of monitoring & enforcement measures back in my state. For this I am really proud and credit goes to CSE. I would like to attend more such training programmes in future, if opportunity prevails to me." The training programme on Compliance Monitoring and Enforcement was very good, the way it has been designed is very useful to SPCB officials. The tutors explanation was very good on the subject matter. Whatever I learnt here, will implement and follow in my day to day duty"
"The induction programme is very good, provided good knowledge/information about compliance monitoring and enforcement. The programme designed is very useful for junior/mid level officials of all SPCBs."